Every night, for reasons incomprehensible to me, the animators went to ear-crushingly loud nightclubs. 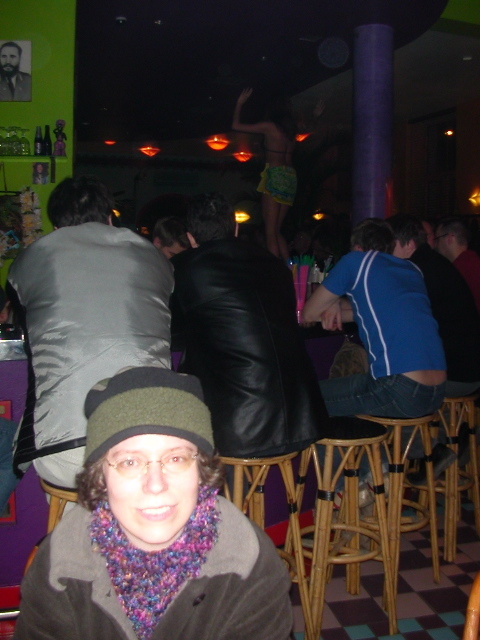 Here's one with me, a bunch of Latvian men, and a scantily-clad dancer on the bartop in the background. Animator Damien, from the Canary Islands, gets down with the bar dancer. No Latvian man can compete with the hot-blooded Spaniard. 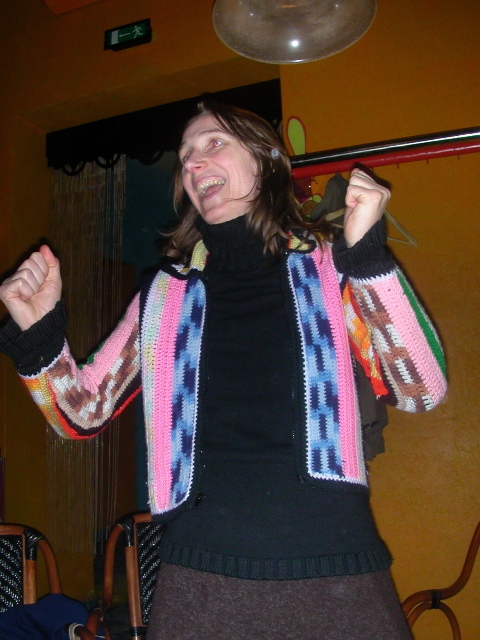 Signe Baumane shakes her Groove Thang.